When your messages are ultra-realistic, they’re ultra-impactful. Through advanced UHD picture quality, Samsung QBN Series displays foster an inviting and memorable viewing environment in any indoor setting. Featuring Intelligent Picture Quality technology, they’ll convert all your content to UHD-level quality. 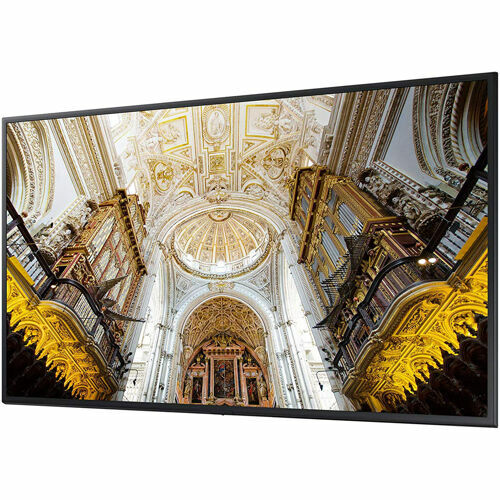 So whether you employ them in a retail, corporate, hospitality or public setting, everything you display on the 4K UHD screen will be stunning. Text is sharp and crisp. Graphics are highly detailed and smoothly textured. If you’re looking to make an impact, you’re looking for the Samsung QBN Series UHD displays.